He aquí un pequeño texto que he escrito sobre el desierto que rodea mi ciudad natal, Phoenix. Tiene algo de vocabulario que podría ser nuevo para ti. Se trata de the Sonoran Desert o el desierto de Sonora – como el nombre indica, la mayor parte se encuentra ubicado en el estado mexicano de Sonora. Típico paisaje en mi barrio – cactus y arbustos en el desierto de Sonora. Phoenix is the capital of the state of Arizona, in the Southwest United States. It’s in the Sonoran Desert, which means it’s very hot in summer, and mild in winter. It can be above 40°C (and even above 45°C) throughout the months of June, July, August and September. The Sonoran Desert is home to many varieties of cactus. The most famous is the saguaro, which mostly lives in the states of Arizona and Sonora, Mexico. It’s the tall cactus in the picture, which you can see in Western films. It doesn’t rain very much in the desert, so the plants and animals are adapted to drought. Saguaros swell with water when it rains in spring, and then slowly get thinner and thinner as the summer progresses. Nuestros jabalíes no son como los jabalíes de Europa – nosotros los llamamos javelina. The Sonoran Desert has a lot of animals like rabbits, squirrels, snakes, and javelina. 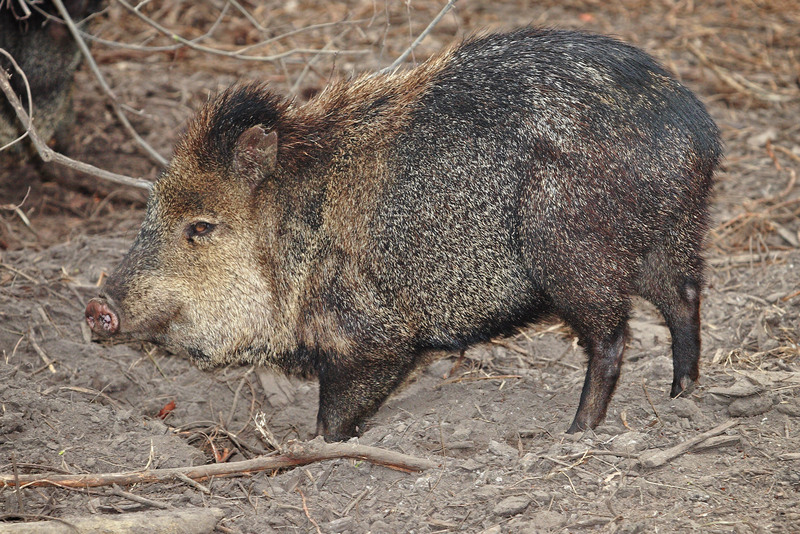 The javelina looks like a kind of pig, but it is more aggressive and cannot be domesticated. It is nocturnal and has a strong smell to warn predators not to come too close, so if you are walking in the desert at night, you often smell the javelina before you see it. The most famous snake is the rattlesnake, which is poisonous but not deadly. Visitors should come in March, when the weather is nicer and the plants are flowering. Remember to always carry water! Espero que te haya gustado. Más textos en inglés aquí. P.D. Más sobre la vida en el desierto en mi otro blog (en inglés) – Memories of a Redneck y Bill Bryson goes to New Mexico.